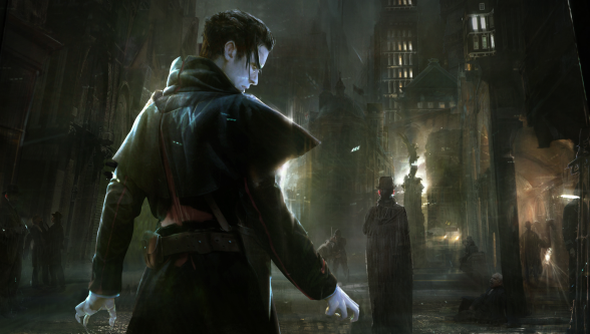 Vampyr’s only been in development for a few months but there’s already a lot to like: it’s set in the thick of the 1918 Spanish Flu pandemic, you’ve open levels to explore inspired by Vampire: the Masquerade, and your character is torn between trying to cure himself of his vampirism and giving into his blood lust. A doctor during the war, you return to your home city – Dontnod’s keeping mum as to which but the poster looks like it might be London – to find it struggling under the weight of a viscous sickness, the Spanish Flu. The city’s in a desperate panic to fight the infection, the ill are crushed into quarantine districts, and it’s there, while treating patients, you’re bitten by a vampire. Dontnod’s CEO Oskar Guilbert kept tight-lipped on the details of how you’ll adapt to your newfound vampirism but the story’s about you trying to find a balance between your old humanity and new sanguine needs. Guilbert called Vampyre an action RPG so you’ll likely be able to level up abilities, both for fighting and exploring the environment. Looking back on Remember Me, Guilbert admit it was “too linear, it was not possible to explore this beautiful Paris.” So in Vampyre they want to open the environment out more, letting you investigate and get to know its backstreets. Vampire: The Masquerade is the game they’ve taken inspiration from. In that you used your chosen abilities to gain access to areas – sneaking in invisibly through sewers, leaping up walls to climb in through top floor windows, or using your unholy strength to fight through the front door. We may see something similar in Vampyre. Vampyre’s tagline, “Take blood/ Save a life”, also suggests you might impart your ‘gift’ on the sick to give them a defence against the virulent flu but siring new vampires can’t be good for the soul. Guilbert’s team have wanted to make a vampire game since before Remember Me, which has given them the time to flesh out their mythology. They’ve had writer Stéphane Beauverger, who worked on Remember Me with Alain Damasio, write a 300 page reference bible of their vampire mythology, pulling into it real world events and literature. Their vampires are darker creatures than those we’ve seen in films or read about. They aren’t from Transylvania, they aren’t in love with humans, and they definitely don’t sparkle in the sunlight. Vampyre’s due out for release in 2017. I’m eager to learn more about it in the meantime. Editor’s note: travel and accommodation to Paris were paid for by Focus Home Interactive.